What is the Spiritual Point of Life? You need to know your seeking, your path, your actions, your thoughts and your destination. Without basic understanding of self, aptly called self-analysis, is similar to trying to begin a journey without knowing the present location. When one calls upon a higher power in form of a Guru or a friend to be saved from a situation, the first posed question to you is, “Where are you?” In context of pilgrimage from a place of darkness to light, your current location is your present state of being (state of mind/pilgrim). At this point, if your mind is truly ready for pilgrimage, the obvious question should be, “How will I get there?” Let me introduce to you, the most powerful vehicle equipped with a compass that will not only carry you, but also carry you in the right direction. This vehicle will also inform you, when your mind goes off track/loses direction that leads to final destination. This vehicle does not belong to any Saint, Guru or prophet in particular, yet it is the only vehicle used by all in its various forms. Some have elaborated this vehicle to finest details possible, when compared with others. Among the enlightened beings, Guru Nanak is the one who has elaborated this vehicle to such fine details, that it is hard to ignore its significance. It is hard to ignore its significance only when understood. Understanding is gained by fully experiencing, not by listening, reading or reciting. Be-aware: Listening, reading and reciting do not reveal truth to you, rather covers oceans of ignorance inside you. If you are blessed, you will find yourself drowned in the ocean of your own ignorance. Can you imagine riding a bicycle that has a rim and spokes, yet no wheel hub? You cannot ride a bicycle that has missing a hub. This hub is the axis (Dhura) to which spokes attach, without which no movement is possible. Imagine each of your thoughts is a spoke and your awareness is the rim. Without an axis (Dhura), your thoughts remain scattered all over the place and you cannot concentrate on a task, however hard you may try. Therefore, you meditate - your practice to converge all your thoughts to a single point. Over time, many different methods came into existence for meditation. All methods duly serve their own purpose. There is only one self-sustainable method. This method does not require a quiet place and closing your eyes to witness your inner world. This method attaches all your thoughts to an axis (Dhura) like spokes of a bicycle wheel attached to a hub, completing the wheel. Thus, the means for your movement will come into existence. When all your thoughts converge/attach/originate from/to a single point, called axis (Dhura), your life starts moving. You feel energetic, your stress evaporates, your life gains balance, you start living - cherishing your success, material wealth, family, friends. Your relationship with food, environment, people, is rejuvenated in a place of peace, joy and harmony. The innermost thirst is awakened only in handful of humans, who seek a self-sustainable method that works irrespective of time, place and situation. You have a choice – either you can try all other methods to discover their limitations when you reach their capacity at certain point or adopt the method that belongs to no one in particular, yet adopted by all those who were enlightened (merged back with the creator) and are mistakenly referred to as God. Pilgrimage is not possible without a hub to which all your thoughts converge/attach/originate. Your thoughts can go as far as your awareness can expand, represented by rim of the bicycle wheel. The bigger your awareness, the quicker you move on your pilgrimage. Later on, I will come back to the how awareness and your movement are co-related. At this point, I would like to introduce the vehicle called “Shabad (Word)” which serves the purpose of axis (Dhura) to which your thoughts like spokes shall attach. This “Shabad (Word)” is the pure place of light and wisdom that I refer to as Shabad Guru. Shabad (Word) is the Guru that will guide you, carry you and provide direction until you arrive at your final destination. Until thoughts in the mind do not converge/attach/originate to/from Shabad, thoughts remain scattered and life remains devoid of energy, zest and vigor. In others words, without Shabad Guru life remains a roller coaster of emotions, happiness, pain, losses with unpredictable highs and lows without an end in sight. Without Shabad Guru, life is like millions of gallons of water scattered as thin layer for miles - directionless without any flow and purpose. With Shabad Guru Life becomes a flowing river – with a destination, direction, source of abundance filled with insurmountable energy. Guru Nanak has elaborated Shabad Guru like no one else to my knowledge, yet does not claim to be the only one who’s Guru is Shabad. The second incredible fact is that Guru Nanak has introduced everyone to his own Guru: Shabad through his writings called Gurbani (Guru’s utterances). In traditional ways, a Guru does not introduce his own Guru to his disciple; rather a Guru takes in a disciple under him. Whereas Guru Nanak directly introduced his own Guru to all of us. Guru Nanak must see the potential in all humans to become disciples of the same Guru. 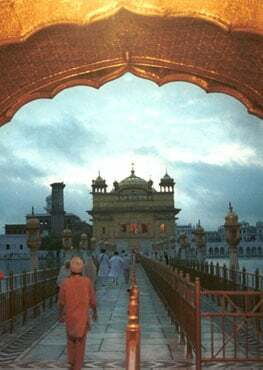 Clearly, the freedom of Choice lies with the disciple, as Guru Nanak has opened the doors to Shabad Guru to all of us. What an incredible gift of graciousness from Guru Nanak and definitely my head bows to such humility.